I definitely slacked this month on my Birchbox review. I think because I wasn't overly thrilled with everything I got (not that I'm surprised by that) so I put off doing a review. I will admit I've been regularly using one product but everything else.... eh. I've said this multiple times in the past but my laziness has gotten the best of me I've been trying to give them one last shot but it might be time to make the switch to Ipsy. It never hurts to switch it up a bit, right? 1. Cynthia Rowley Creamy Lip Stain - This is the one product I was actually super excited about. I LOVE a good lip stain and this one has definitely proven to be a good one. The color, Valentine, is a gorgeous coral-y pink without being too bright. It goes on very like a gloss but stays like a stain. Unlike most stains, this one is very moisturizing which is great if you're like me and constantly use lip balms. 2. NAOBAY Body Radiance Lotion - I actually really like the smell of this lotion, it has a very light, almost citrus-y scent which is great for summer. It's a very thin lotion which I'm not sure I really like. I usually prefer thicker lotions but this isn't too bad to use after getting out of the shower. I definitely didn't think there was anything overly special about it compared to other lotions though. 3. Ofra Universal Eyebrow Pencil - I'm one of those people who must use an eyebrow pencil or my eye brows are non-existent. Not because of them being too light in color but they're super fine and thin (just like my hair). The color was a bit dark for my eyebrows but after some blending it worked out. 4. Real Chemistry Luminous 3-Minute Peel - I was really excited to try this out because I LOVE peels but this one isn't like a normal peel and that's probably my biggest complain with it. With this one you put it on, let it set for 30 seconds then massage it in and wash it off. I think that extra step really threw me off (I'm pretty lazy when it comes to my beauty regimen) and made me not like it. I'll continue to give it a try until it's gone but I'm definitely not impressed so far. 5. 100% Pure Gingerade Shower Gel - This was ehhhh.... take it or leave it. It had a really nice scent which is always a good thing but it doesn't seem to lather very well. It's really thin but gentle but definitely not my favorite body wash I've ever tried. It's 100% all natural which is awesome but definitely not something I feel like I'll run out and buy. Actually not terrible items compared to what you have gotten before! I'm still deciding between Ipsy and Glambox! The lip stain sounds great! I felt the same way before I stopped doing Birchbox. While I did get a couple of products I really liked and still use, the rest just collected dust. Plus they sent be tiny perfumes in every single box regardless of what box I ticked on the survey. It's a shame because it's such a fun idea. The lip stain does sound nice though! I love reading your reviews on products - they give me just enough of an idea if it will work for me or not! Sorry to hear that you're not too happy with Birchbox these days. Remember when they were one of the first subscription boxes? Times change though, and maybe you need a change, too! Great review! I'm intrigued by that lip stain. I was doing Birchbox for a while and I just got so disappointed with the quality of the products. The only redeeming thing was that they offered points for reviews, but having to do that to see any benefit got old quick. I'm switching over to glambox this month. It is more expensive but from every review I read it seems worlds better. I don't know how I've gone this long without trying Birchbox for myself... but that's probably because of your exact "eh" thoughts. I'll need to look into Ipsy! Well, now I want to try the lip stain! I haven't started a beauty box yet, but I definitely have heard better things about Ipsy than Birchbox! Love that lip stain! What a great box! That lip stain sounds pretty awesome!! that lip stain sounds perfect! people need to stop raving about things in their boxes because i want all the boxes now. I got that brow pencil in an Ipsy bag, I haven't really messed with it yet though. That lip stain sounds great and I love the packaging, so cute. I want that lip stain! I was reading that and was like WOW your photos look so professional! LOL ;) Sorry it was such an iffy box this month-- the lip stain does sound nice though! I may need that lip stain. I haven't made the plunge to a subscription box yet but I'm thinking I definitely won't do Birch Box. I also had birch box for a while and found it was not a fit for me. The lip stain seems like it was a fun stand out ! Sorry to hear you're not in love with Birchbox! That lip stain sounds great though. Thanks for sharing! I'm going to have to check it out. I cancelled my Birch Box too after I got 3 months as a gift. Ipsy is looking like a way better deal, but I do love the lip gloss you got. Cancellation prize!? I want that lip stain! I cancelled my Birchbox a few months ago and while I do miss the monthly package.. I don't really miss what was in them! I am considering trying Ipsy though -- those bags always seem great! I feel like Birchbox is hit or miss.. I never continued my subscription after I got it as a gift but hey- it's always fun to get mail!! 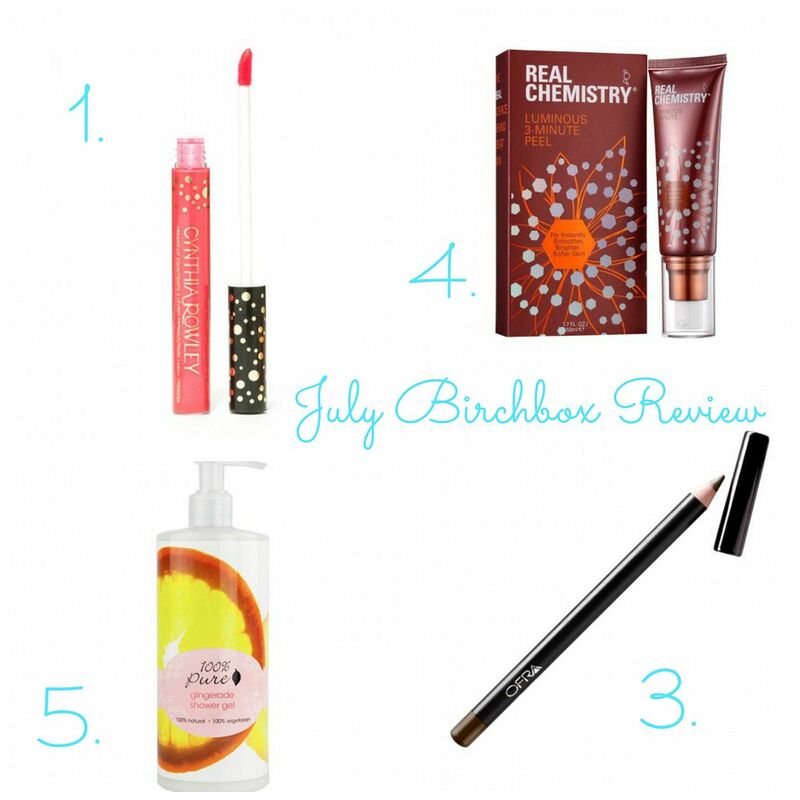 I must admit that I cancelled my BirchBox because I was just so over it! I always love your reviews and maybe a switch wouldn't be a bad thing!! :) and I love your #bloggerproblems haha I can totally relate! Sounds like really nice products! I'd like to try that lip-gloss and shower gel!